A fall is a typical event in our younger, more active years. Minor scratches and bruises are all part of growing up, of course. However, as we get on in years, many conditions can contribute to an unstable feeling and result in a fall that can cause physical and emotional damage. Falls and the injuries they cause are the number one concern for seniors and their families. Because at Spring Gate Rehabilitation and Healthcare Center. "It is our business to care,” we take falls and, most importantly, preventing them very seriously. As you can see from this list, there are glaringly obvious and equally hidden underlying reasons for falls. Surely, we can easily make a bedroom less difficult to navigate, but we cannot remove a heart-regulation drug. Nonetheless, this assessment helps us determine which patients will need the most guidance and assistance. Some people need a nurse nearby every time they are on the move if their risk factors have revealed that this is necessary. On the other hand, others may need help only when moving to and from a lying position. We believe that personalized patient knowledge is the key to injury and illness prevention. 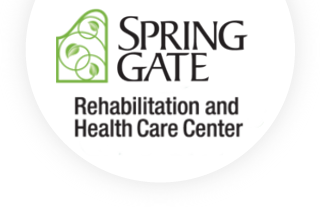 As always at Spring Gate Rehabilitation and Healthcare Center, we have the most diverse and customized care!